Perfectly situated on the 8th hole of Pinehurst No 6 and desirable Scioto Ln. Pinehurst No 6 is a premier Pinehurst Resort and CC Golf Course surrounded by beautiful homes. Few options exist at this price to be on the Fairway. 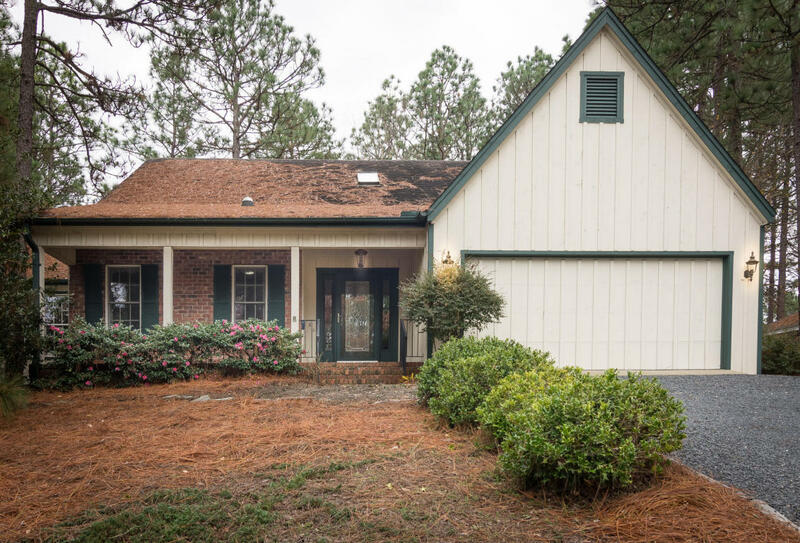 This home is located near the Pro Shop and Driving range with easy access to the practice range, tennis courts and Pickle Ball courts. The handsome front door opens to gleaming hardwood floors and large open rooms. Light and bright kitchen with ample cabinets opens to large Great Room with Wood Burning Fire Place. The Carolina room across the back has a wall of windows facing the golf course with access to the dining room and bedroom. Updated Master Bath, garage with workshop and pull down storage above. Pinehurst CC Charter Membership available at reduced rate.